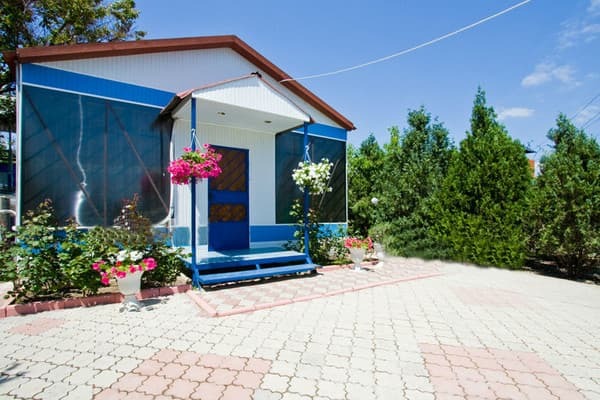 Mini hotel "Volna" is located in the picturesque Dvuyakornaya bay 5 minutes walk from the sea. Nearby is Mount Klementyev, which makes it possible to engage in flights on paragliders and hang-gliders. Asphalt road passes to the hotel "Volna". On the territory of the hotel there is a summer playground, a brazier, a fountain, a sandbox for children, a swing. The hotel area is closed, there is a guarded parking lot. 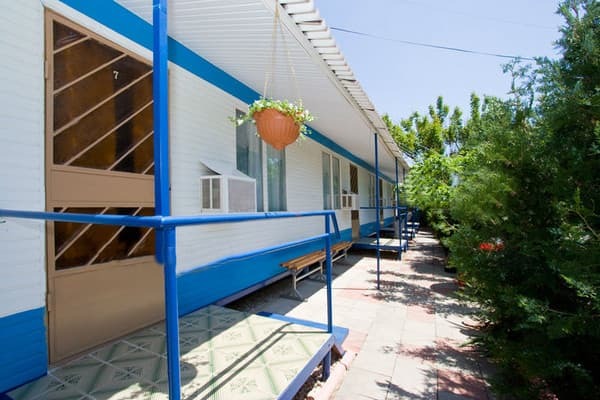 The rooms are located in single-story buildings, rooms with all amenities. On the territory of the hotel there is a dining room, which provides 3 meals a day. There is also a buffet on site. PRICES MAY CHANGE, YOU NEED TO RECEIVE INFORMATION FROM THE OPERATOR! Description of the room: The room is on the first floor. The room has one double bed or 2 single beds, a wardrobe. Description of the room: The room is on the first floor. In one room there is a sofa, in the second one is a double or 2 single beds, a wardrobe, a TV with satellite TV in each room. В соотношении с потраченными деньгами понравилось все. Особо можно выделить питание- вкусно и "на убой". 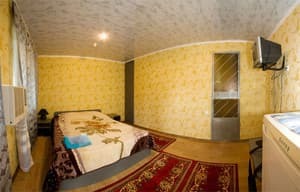 Mini hotel "Volna" is located in the picturesque Dvuyakornaya bay in a 5-minute walk from the sea. Nearby is Mount Klementyev.